HATSUNE MIKU is a computer music software that enables users to create synthesized singing of unprecedented quality and remarkable realism by just typing in lyrics and melody. 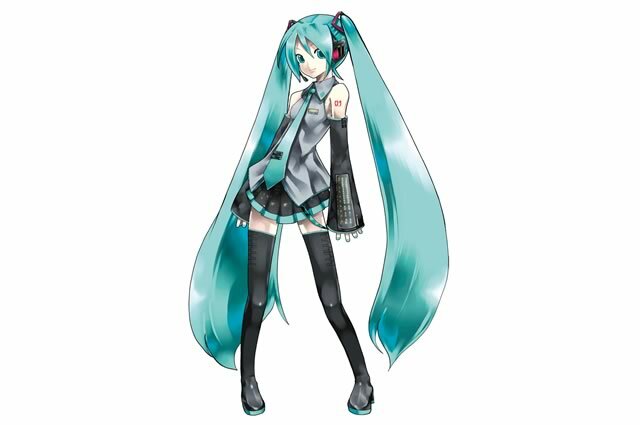 Powered by YAMAHA’s VOCALOID(= Vocal + Android) technology and based on the voice of a Japanese voice actress “Fujita Saki”, Crypton Future Media developed HATSUNE MIKU and released it in Summer, 2007. Since then, HATSUNE MIKU has been inspiring many pro and talented amateur creators. Some of them create fantastic songs and videos, and post them on popular video sharing sites. Then their works inspire even more creators and artists from different kinds, and an endless number of works related to HATSUNE MIKU have been produced.This big movement of HATSUNE MIKU was taken notice by the media, Red Cross, Agency for Cultural Affairs, and Cabinet Office, and HATSUNE MIKU won a number of awards.Now that HATSUNE MIKU is recognized as one of major digital contents in Japan and many HATSUNE MIKU related goods are produced, such as CDs, DVDs, figures, and video games.